Our proven track record as entrepreneurs and finance experts includes starting a company in a basement that has grown into an industry leading transportation/logistics/marketing company with over a billion dollars in lifetime sales, and securing more than $7 million in external venture funding for startup partners. Our combination of bootstrap-style startup savvy and finance acumen sets us apart. 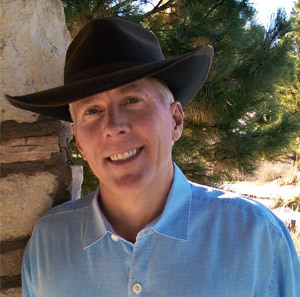 Mike began creating companies in Colorado nearly 30 years ago, and today Infinite Peaks Holdings, a private venture holding and investment company, has a portfolio of companies that include those Mike has built that span data analytics, energy, real estate, and sustainable renewable energies. He has a record of building companies that get to profitability fast and thrive for decades. His goal for IPH is to forge lasting, mutually beneficial relationships that go well beyond a typical investor-startup relationship. He and his team work as trusted partners alongside Founders to help them find their path to early profits and long-term value. A many times over new Founder himself, he values preserving a Founder’s equity ownership and building a company that endures. His success allows Mike to pay it forward and foster entrepreneurialism in Colorado. He is the newly named Colorado Chairman of CoPlex, the country’s seventh largest startup accelerator, which has established a local presence in Denver, and he is also a Techstars mentor. He is the former President and now member of the board of The Crisis Center, which supports victims of domestic violence and advocates for prevention education. Mike earned a B.S. in Aerospace Engineering from Iowa State University. He lives in Castle Rock, Colorado and has two grown children. His passions are broad, from golf and wine, to songwriting and Jeeping Colorado’s challenging mountain passes. Spence has deep experience in virtually every facet of business investment, from negotiating capital raises for startups to managing 300M+ in investment capital. He has played a role in more than 50 companies – exceeding 800M in revenue. He has a solid track record of serving as a fractional CFO for startups and legacy companies, navigating growth through the complex world of equity, debt and lending. Early on Spence recognized his passion was not big business, but applying his experience to foster entrepreneurialism. He is passionate about empowering Founders and sharing his knowledge and expertise to help them achieve their vision. His style stands out in the world of shark investors and due-diligence, but he is most fulfilled in the role of mentor, empathizer and trusted partner. At IPH, Spence takes the lead in identifying investment opportunities and Founders with which to partner. He guides the firm’s investment thesis, seeking those companies that bring something unique and inspiring to the table. He educates Founders on the many ways to fund a company and provides guidance as they navigate deal structure and cashflow management. Spence has an eye for identifying early potential pitfalls and pointing Founders toward lasting solutions. Spence’s education is as broad as his skillset. He holds a M.S. in Finance and a M.S. in Architecture from the University of Texas, and a B.S. in Neuroscience from Baylor. 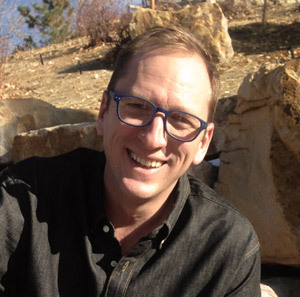 He is a Techstars mentor, a charter member and mentor at TiE Rockies, and member of the Urban Land Institute. He is an avid reader of anything that can teach him something new about business or the human condition, be it The Economist or the Tao. Growing up a competitive swimmer, Spence is happiest anytime he’s near the water (which can be a challenge in land-locked Colorado).